« Wham, bam, thank you Yan! 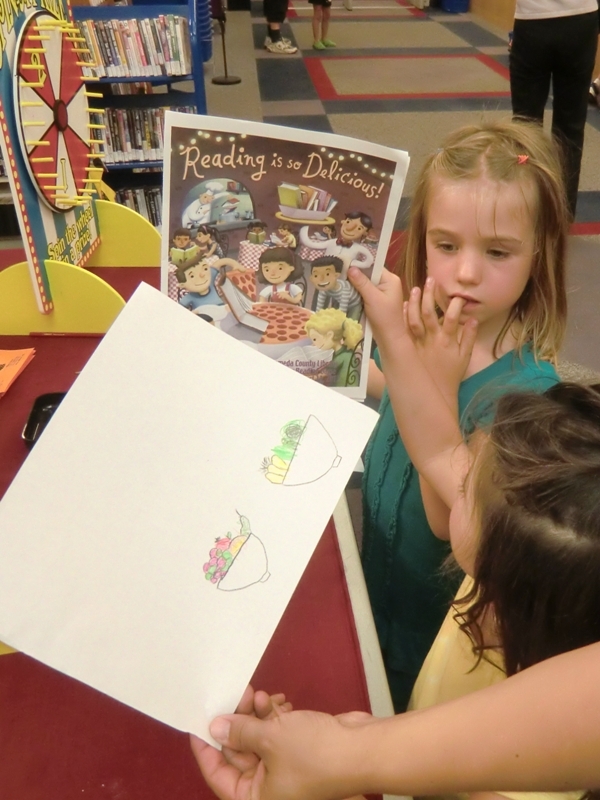 Two sisters take their turns spinning at the Summer Reading Game table. 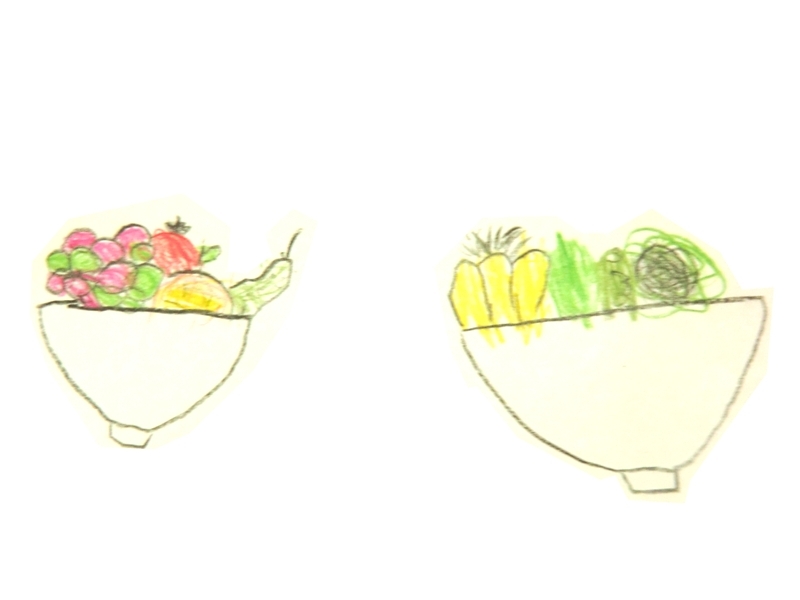 Drawing favorite healthy foods wins a free spin. See the tasty fruit baskets below!